From the port of flying dolphins we go to the right, we pass the Metropolitan Church and at the first road we go left. At the "Rafalias" pharmacy we go right and after "Orloff" hotel, we climb a few stairs and go lef. After a few meters we see the sign "Hotel Theano", we go right and we see the guest house. 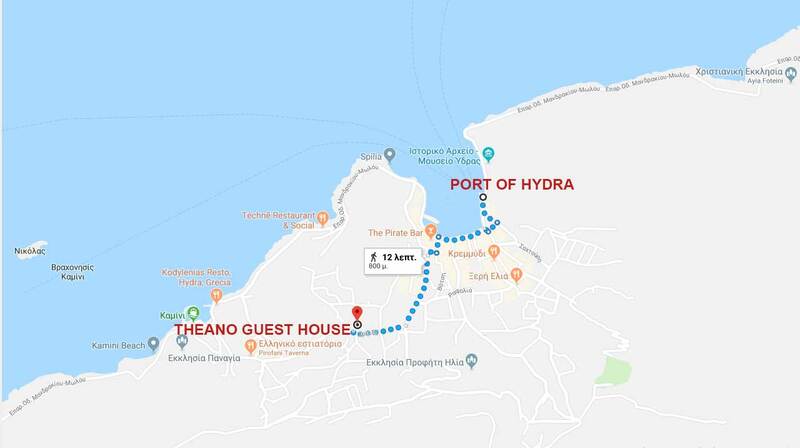 To reach the guest house we need 10 minutes from the port. "Theano Guest House" ia a traditional stone-built House, which offers you all the comforts to have a relaxing and exciting vacation. The guest house has a very beautiful yard where you can enjoy your breakfast or your coffee, amongst colourful and relaxing flowers.